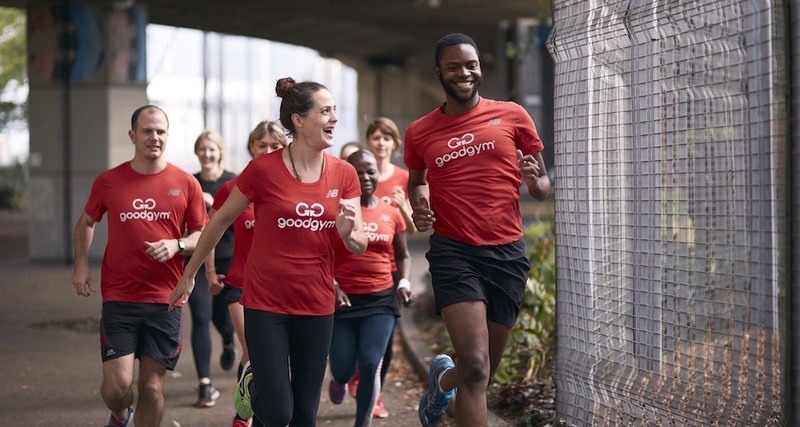 Meet the GoodGym team: our trainers, trustees, staff and volunteers. The trainers who lead our runs are the best in the business. When you come on a GoodGym group run you'll be led by one of our excellent trainers. Our members get top quality fitness and running support from their trainer. Trainer for Barnsley. Goodgym has helped me improve my running and learn more about the local community. Hi, my names Tim. I'm a qualified Personal Trainer specialising in running for beginners to Ultra runners. GoodGym Trainer for Birmingham. Love all things running, including road, track and even cross country when it isn't to muddy! Running Coach, S&C Coach and P.T.. Love the outdoors & nature. Exercising for mental health. GoodGym Brent Trainer; GG Race Team Sec. ; Unofficial GoodGym Social Sec. and qualified EA/GG Run Leader. Still doesn't hate biscuits. Goodgym trainer for Brighton. A running obsessive since 2009 now spreading the running joy by coaching. Have run marathons, prefer 10ks! Trainer at GoodGym Lewisham and Bromley. All-round running/cycling/swimming bundle of energy. Lover of Hilly Fields parkrun. Chelmsford Trainer, 5k to ultra runner, parkrun Event Director and Ambassador. Enjoy exercise. Proud Goodgym Colchester Trainer. Love Goodgym, helping, parkrun and spurs! Volunteered around the world! Trainer for GoodGym Coventry. Likes to run and swim, in plenty of open spaces and open water. Just a regular guy, who likes running, doing my bit for the community. Trainer for GoodGym Greenwich. I love running - any surface, any distance! GoodGym trainer Haringey. Strength and conditioning coach getting people moving better and feeling stronger. Trainer for Wandsworth and Hounslow. All things running. For fitness, fun, racing and to feel good - and for everybody! Member of HWAC. Trainer for Goodgym Ipswich. Loves to tri & run in the MV50 age group . Can usually be found at Kesgrave parkrun. Run Trainer for GG Richmond and GG Kingston. Also a qualified Personal Trainer. Love running for mindfullness and mental wellbeing. GoodGym Trainer for Leicester. Running, cricket and football enthusiast. Hoping to be some sort of triathlete in 2019! GG Liverpool Trainer. Plant-powered, tea snob, a bit corny. I'm the Trainer for GoodGym Norwich. I love running and have led a lot of running groups in the Norfolk area, none as fun as the GG family. Goodgym trainer for Oxford. I run for fitness and for my sanity! Absolutely love trail running. Trainer for GoodGym Portsmouth. I love running, living near the seaside and getting out into the great outdoors! I also like cake! Sheffield Trainer. Personal Trainer & England Athletics Coach in Running Fitness. Im the run leader for Goodgym Stockport, we have had a blast, its so lovely to see this ACE group thrive while doing good & getting fit! GoodGym Trainer for Tower Hamlets. Personal trainer. Seriously sweet tooth. I love the concept of getting physically and mentally fit whilst combining it with helping others. I run 3 times per week. GoodGym Trainer for York. Passionate about running, cycling & fitness. Loves to LUNGE! Obsessed with parkrun, hills and puppies. The trustees are the directors of the The Good Gym charity. They are responsible for keeping us focused on our mission and holding the central team to account. The central team work on behalf of the GoodGym community to support GoodGym runners with the necessary admin. They provide admin for DBS check, sending t-shirts, training, produce and maintain the GoodGym website and work with our partners to support older people. They also handle the management of GoodGym's policies and risk assessments and recruit and manage trainers. The central team is also responsible for supporting the expansion of GoodGym and ensuring that we have sufficient funds to continue operating. Run leaders are England Athletics qualified Leaders in Runners Fitness and are trained in setting up and leading GoodGym group runs. They run additional sessions and cover group run. Task Forces are runners who support the operation of GoodGym in their area. They manage social media accounts, support on runs, find tasks, support new runners and organise additional events. GoodGym Race Team committee are runners who lead the operations of our race team. They support GoodGym members who wish to challenges themselves a bit more by participating in races.